Old meat in China’s fast-food chain brings a health warning for foreign companies doing business in the country. After getting fat on rapid growth, some are discovering nasties hidden within their ample folds. Kentucky Fried Chicken parent Yum Brands and McDonald’s have been tainted by stale meat that slipped through the apparently strict controls of U.S.-owned supplier OSI. There’s no sign that the companies knew about the dodgy practices revealed at OSI’s Shanghai subsidiary by Chinese TV journalists, or that other plants are affected. But it’s especially embarrassing for Yum, whose guard should have been up after an antibiotic-laden chicken scandal just two years ago. Past success makes such crises worse. Big, foreign companies make convenient political targets – even if driving them out would hardly benefit their thousands of Chinese employees. For consumers it’s a case of dashed expectations. Perceived safety enables foreign companies to charge a premium, as shown by China-based WH Group’s takeover of U.S. pork producer Smithfield. But growth can also mean lapses get missed. GlaxoSmithKline, the UK pharma giant, plunged into a legal abyss when Chinese prosecutors accused some employees of paying bribes – something the company said took place outside of its systems and controls. It’s easy for bosses back at headquarters to miss warning signs, given the difficulty of decoding China’s elaborate bureaucracy. Others with high profiles should beware. Consider JPMorgan, the bank facing U.S. investigations into whether it inappropriately hired relatives of Chinese officials to win business. A settlement with American regulators is the likely outcome, but that might put the bank in line for closer scrutiny in China, where authorities are keen to show disdain for anything that smacks of corruption. Even successful companies with no issues so far, like carmaker General Motors, which reported a 13 percent increase in its China deliveries during the first quarter, should be on their toes. China’s government seems intent on challenging longstanding bugbears, like product safety. And growth is slowing, which is exactly when corners get cut. Few say so publicly, but for some, now might be a good moment to consider slimming down. 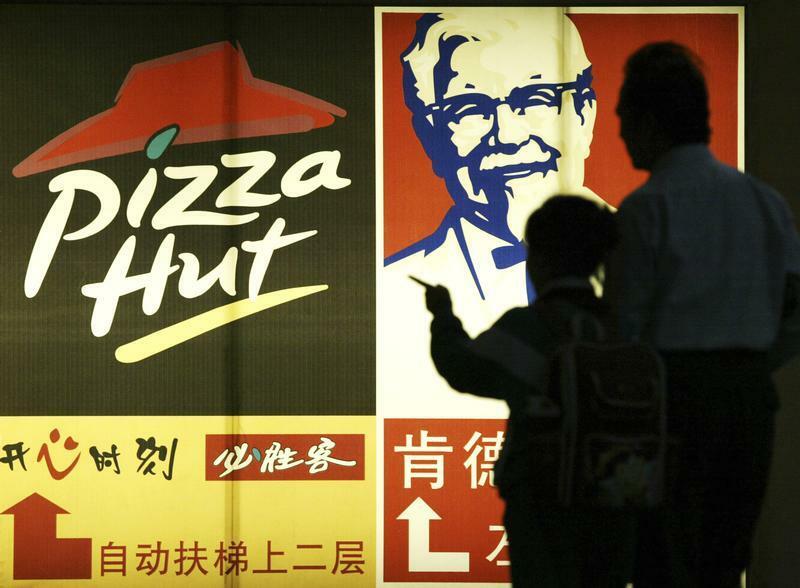 People stand in front of a poster of KFC and Pizza Hut in Guangzhou, capital of south China's Guangdong province April 2, 2007. Rob Cox: Has Yum outlived its usefulness to China? KFC’s parent Yum Brands said it had severed ties with Chinese food supplier Husi after a local television company accused the latter of using expired meat in its products. Five employees of Husi, which is a subsidiary of U.S. group OSI, were arrested by Shanghai authorities. As well as KFC parent Yum, Husi also supplied McDonald’s, which said it had stopped using supplies from the relevant plant, and added that it felt “a bit deceived” by an earlier audit into the company. A Chinese TV report on July 20 showed staff at the Shanghai Husi facility using meat that had expired and had been lying on the floor. Sheldon Lavin, the chief executive of OSI, described the Shanghai events as “terribly wrong”, in a statement on the company’s website. He added that the Chinese authorities had inspected OSI’s other facilities and found no issues. People’s Daily, often regarded as a mouthpiece for the ruling Communist Party, on July 23 likened the incident to the melamine-laced milk scandal of 2008 in which several children died. The editorial called for the “relevant person to be held criminally responsible”.